This week, it's an awesome comic rap duel, literally. Everybody loves Marvel 80's crossover Secret Wars, where the heroes and villains fought unleashed. But what if on one side were Marvel's best picked by Stan Lee, and the other the top rappers ready to duel, picked by The Emperor himself? 'There's no match for Storm,' I guess he's never heard of Lauryn Hill. LOVE that Storm art! Is it fan-art or is that from something? It's wicked isn't it King? It puts a bit more Beyonce into comics #1 weather woman. 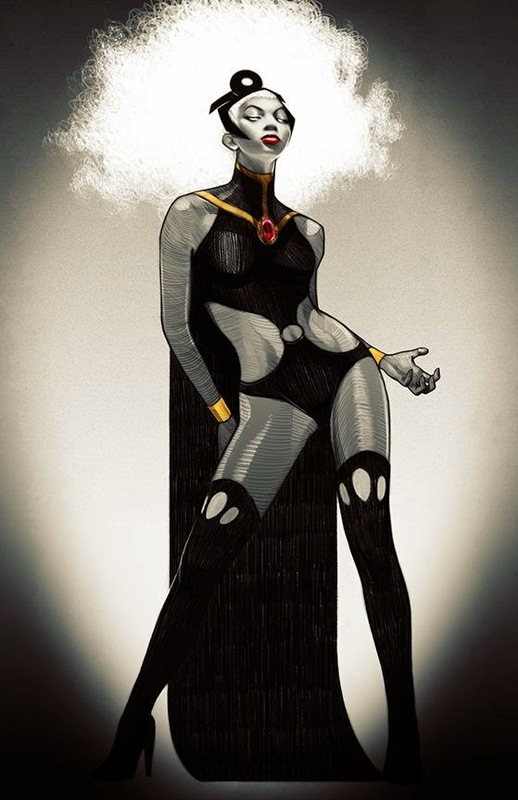 Storm is my fav X-Woman, so I have a folder of images I think of as Ororo done right. This one is by 'yuuyuutaruu' and titled: Original Goddess. Cool, cool, cool! -Thanks for the info!